This Albergaria is housed in a building dating from the 16th Century. There are comfortable 26 guest rooms with a family atmosphere. Vey well located for exploring the city. Discount rates online. 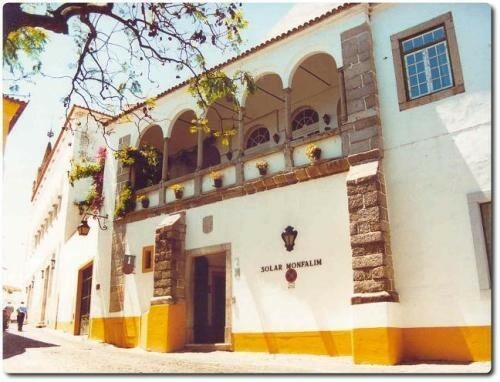 The Albergaria Solar do Monfalim was originally constructed in the middle of the 16th century for a nobleman from the Royal House, Dom Gonçalo de Sousa. In 1892, the property was converted into a guest house with 26 guest rooms and duly received its first traveller. The Albergaria Solar de Monfalim will receive you with comfort and hospitality. All rooms offer air-conditioning, toilet, TV, minibar, safe and a direct telephone. In the morning a delicious, homemade breakfast awaits the visitor.